We appreciate your feedback about your support experience with WooCommerce, developers of Outlet. This helps us maintain high standards on the WooMarketplace, and helps WooCommerce improve. 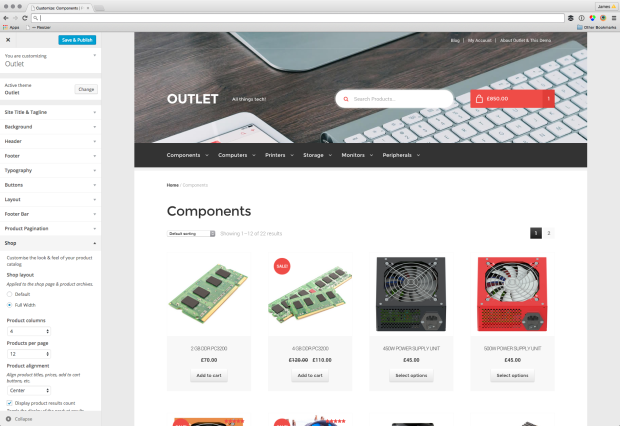 Overclock your tech store with Outlet! Whether you sell boutique iPad jewellery or the nuts and bolts of hardware itself, Outlet will give your shop a stylish look and feel while enjoying the stability of Storefront core. 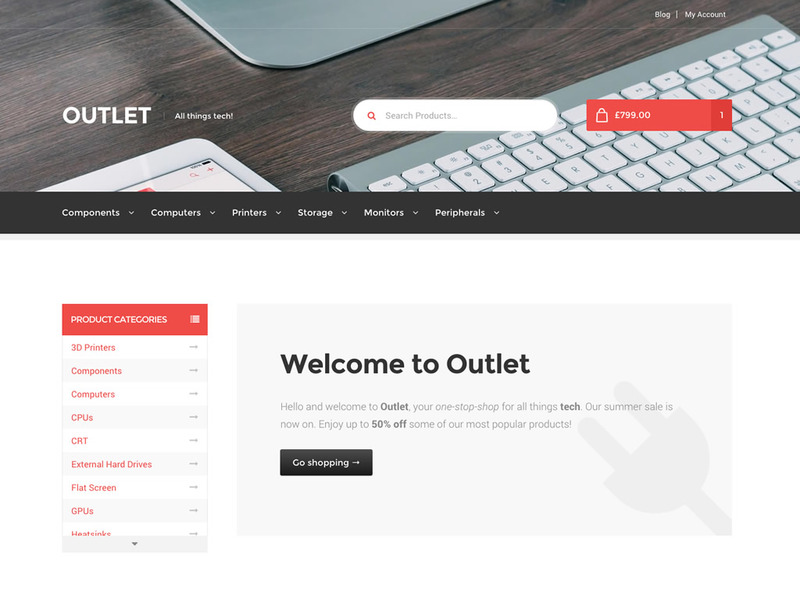 Outlet is bundled with a unique homepage layout that prominently displays product categories and a variety of products in an intuitive tabbed interface. Upload your own header image and logo and let Outlet beautify your tech store in a flash. Want to further enhance Outlet’s selling power? Powerpack gives you the ability to customize and style nearly every aspect of Storefront without touching any code. Change your store’s header layout, tweak colors, fonts and layouts of almost any element, change text, checkout flow and more. Preview your changes instantly in the Customizer. Make changes to a single product page or on a global scale — it’s all up to you. This is just one of the many Storefront extensions available here at woocommerce.com and on WordPress.org. Mix and match several to see what kinds of creative combinations you can come up with!